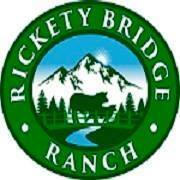 Rickety Bridge Ranch is a small, locally owned and operated ranch producing grass fed, pasture raised Piedmontese beef. Rickety Bridge Ranch is a small, locally owned and operated ranch located in the heart of central Oregon. We produce grass-fed, pasture raised beef. 100% grass fed, pasture raised Piedmontese beef.